You know that you’ve to engage your subscribers. There’s just one problem – you don’t know what to send your email list. You need newsletter content ideas that’ll engage your subscribers but don’t have inspiration. So you put it off for one day. You start feeling scared that your subscribers have forgotten about you. First off, I want you to know that even the best marketers run out of things to send too, sometimes. I’ve compiled a list of things you can potentially send your email list to engage and build a relationship with your subscribers. If you want to start a successful blog, you gotta write amazing content. Why don’t you make good use of it in your emails as well? 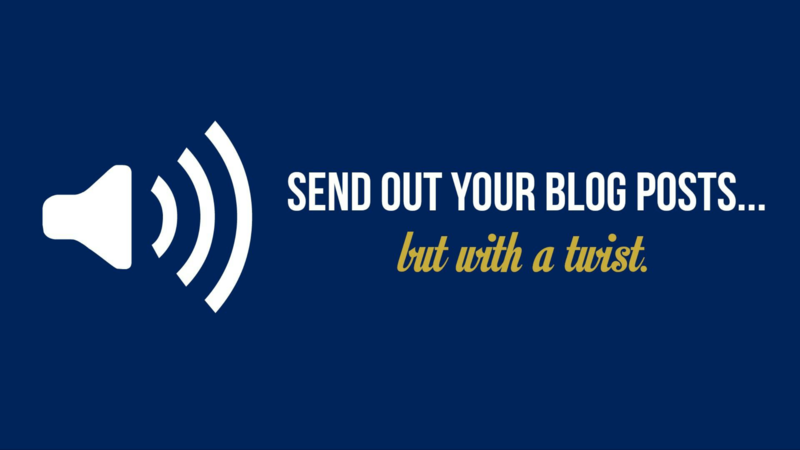 That being said, I highly discourage you from only sending blog posts to your email list. The reason? You’ve spent an enormous amount of effort building your list and getting subscribers; you want to minimize the number of unsubscribes! If your newsletter only functions as an “alert system” to inform people when you’ve published a new post, there isn’t a big incentive to be on your list. People can just visit your blog to find out what’s going on. It’s always great to send links to your blog posts out as most readers don’t usually stalk your website regularly, but I recommend accompanying it with a personal story, or extra tips that are exclusive for your subscribers. These emails don’t have to be long, but it goes a long way to building relationships. 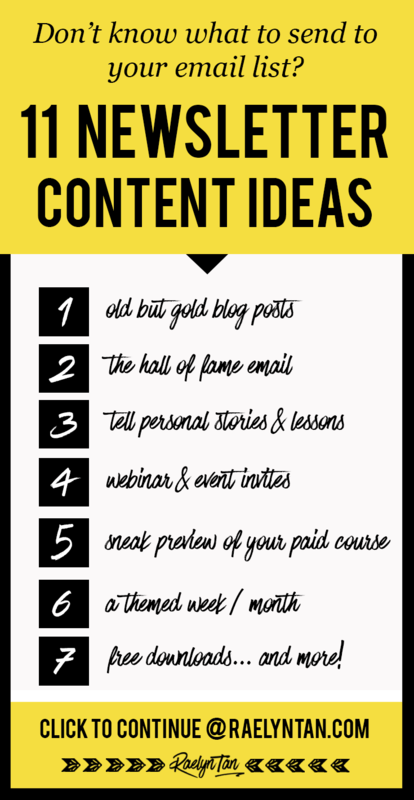 Also, you don’t have to send only your latest blog posts – you can send old blog posts as well to drive traffic to old but gold posts consistently. Compile your best blog posts for the week, so that your subscribers will be able to browse them all at one go. Doing so will make things convenient for them. This is especially so if you post more than once a week. You don’t want to be overwhelming your subscribers, and creating a “hall of fame” post will solve this! Treat your email list as a way to share more personality with your subscribers. Imagine: Your subscriber wakes up in the morning, opens his phone and sees an email from you. He opens it and reads about something funny that happened to you, or laughs together with you about your thoughts on an issue. 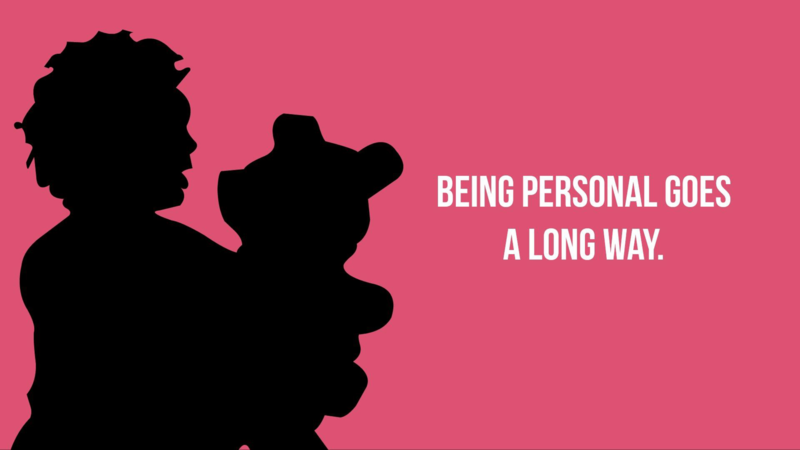 Being personal goes a long way and helps your brand to stand out, my friend. Once upon a time, I was subscribed to a marketer’s list. Every other day she shared something personal to her list… and within that personal story, there was always a lesson/ strategy to be learned. I was hooked! When she transitioned to another niche, I was so sad and even wrote a goodbye email to her because I enjoyed reading her emails so much. Now THAT’S the kind of impact that you want to make. 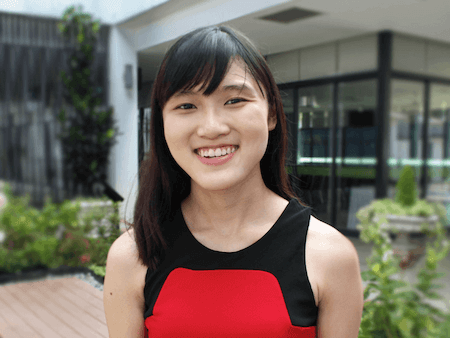 A good way to be personal and create an instant connection to yourself is to send images of yourself, or whatever is relevant for your business. 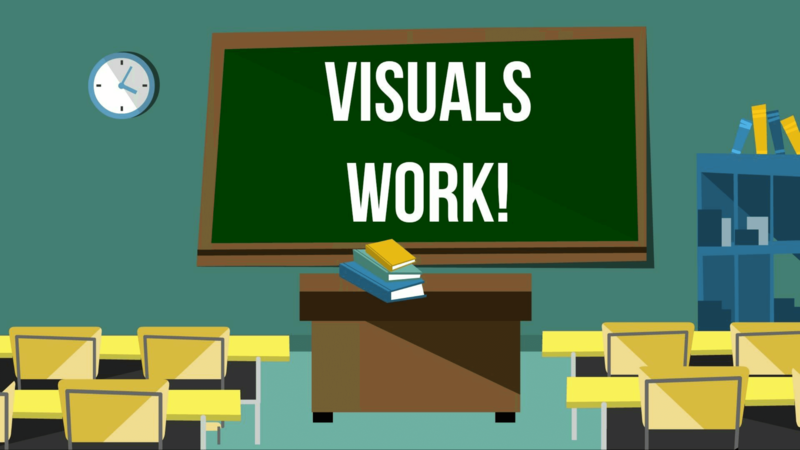 Just don’t overload your email with large images to prevent deliverability or speed issues. If you’re organizing a webinar, be sure to send the invite to your email list. Most subscribers would be stoked to be able to participate in a free online workshop. It also makes you stand out from the rest of the emails as a webinar promises an interactive experience. It’s also something fun, yo! Sidenote: You may enjoy my FREE traffic + list building webinar on-demand, “3 Key Strategies To Rapidly Grow Your Traffic + Email List”. If you are interested in growing your traffic and email list, I highly recommend that you sign up and attend this webinar. Emails are a perfect place for you to send quick and short tips to your audience. Make it extra snappy and juicy. They’ll love it. These strategies and tips will make your emails so much more valuable! You don’t even need to think of extra things to add to your emails. From your best blog posts, you can pick out 2-3 main points which are more digestible than the rest, and add those to your emails. Voila, newsletter for a week settled! 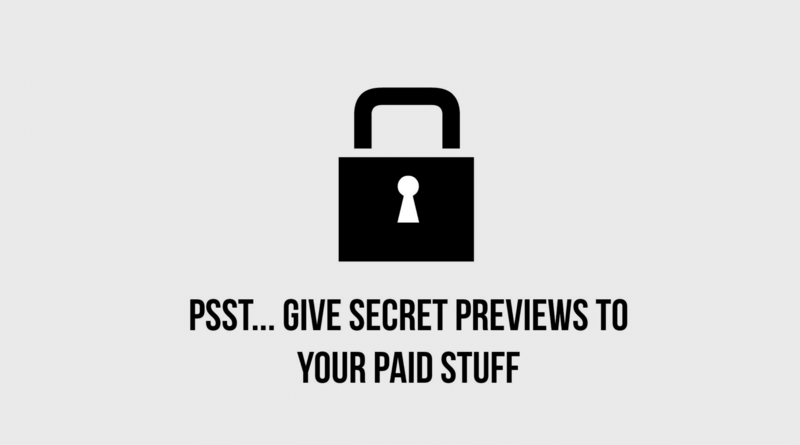 If you have a paid course, a good way to generate goodwill with your subscribers would be to offer a “sneak preview” or “exclusive access” to certain modules of your paid course. This is an excellent way to give value to your subscribers, as people prize paid products more and see it as more valuable. Plus, if they love what they’re getting during these previews, they may even purchase from you! You can easily provide free previews for your paid courses with Teachable, which is the platform I use to host all my courses. If you want to make money with courses, do sign up with Teachable and you’ll be able to create a professional course without any tech knowledge within this week. I highly recommend them! I recently switched and can’t believe that I have been missing out all this while. The student experience and additional functions (like coupon codes, and providing free previews) that Teachable provides is unparalleled. Let’s say you have a bunch of great content about a certain topic, or you’re launching a product on a particular topic. You could have a themed week or themed month for your subscribers, where you send them relevant content about said topic. 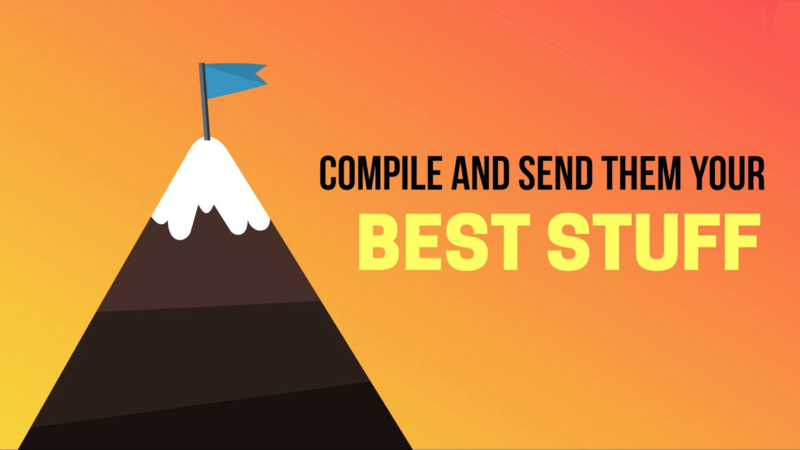 This will get them hooked onto your emails (provided they like what you’re sending them) – for instance, they receive part 1 and love it. From then on, you have an engaged subscriber, as they would be looking out for part 2, part 3 and so on. When the series ends, guess whose emails they will continue to read? This is also extremely helpful if you’re launching a course, as you can provide value and establish your credibility about a certain topic before pitching. 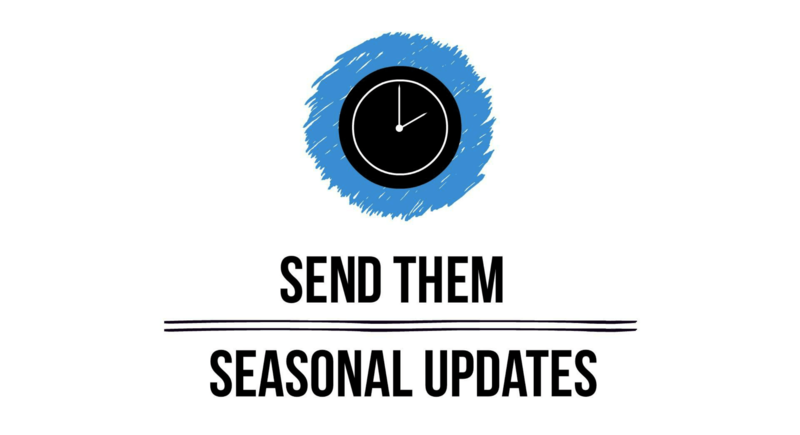 Send regular updates to your list! These are the stuff that you cannot share on your blog posts as they may make your articles more “sloppy,” but your subscribers would love to hear from you. For instance, if it’s your birthday, or if it’s a public holiday and you want to wish your subscribers a Merry Christmas. A great newsletter idea you can implement is to organize a 7/10/15 day challenge via email. That’s amazing, right? Get interested subscribers to opt in for your challenge, and then automatically (or manually) send them a series of emails related to what they just signed up for. Kinda like a “second lead magnet,” but available only for existing subscribers. The advantage of a challenge is that they are taking action right away. You could even get people to “reply” to you to keep them accountable. Although not many people would take up your challenge to reply your emails, people will still be doing the challenge, so don’t be worried if you don’t get much response. Plus, you get the opportunity to interact with the “hyper-engaged” segment of your email list who replies to you. 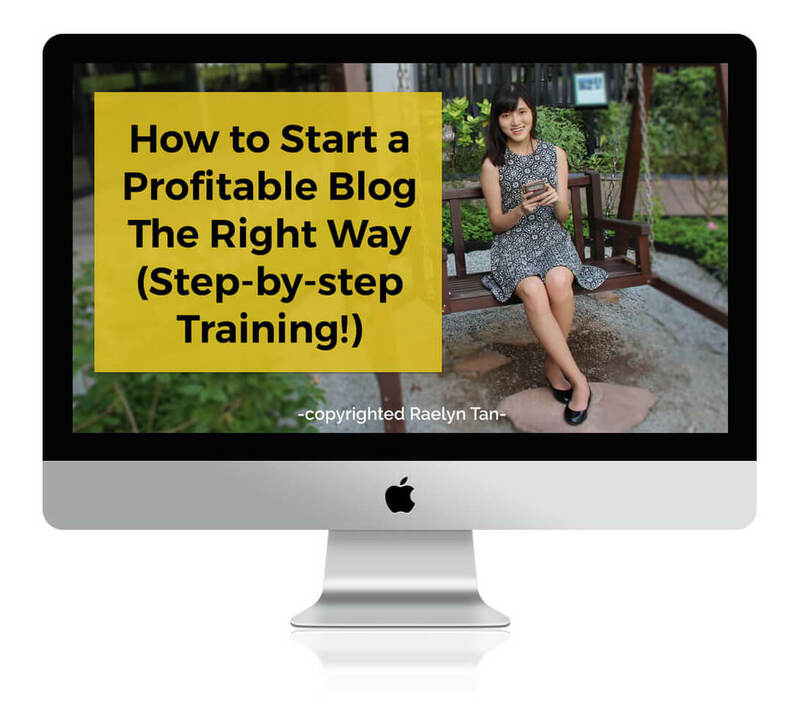 You may like my free 10 day building a profitable blog + biz challenge. If you have an extra workbook, printable, infographic, etc. that you have created, make sure you send it to your subscribers! This generates loyalty because they feel special that they get such exclusive content. It is like being a country club member, where you’ve special perks that other people cannot have. +10 points if your free download is super valuable and helps them to achieve results! If you ain’t selling, you don’t have a business. Sending out emails when you’re launching a new course, product, ebook or service should always be part of your business model for your online business. I can’t emphasize this enough. 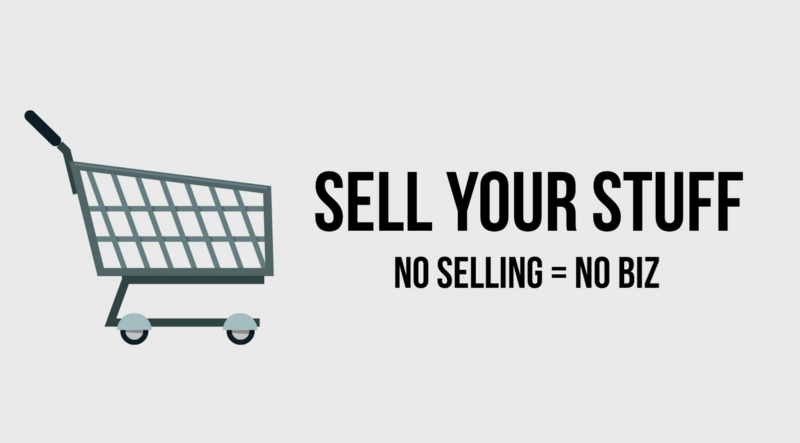 If you’ve something to sell, send it to your list. Don’t be afraid of unsubscribes. People love you and want to know what you’ve to sell. Making a sale allows you to serve them even more. Sending out promotional emails also helps you to weed out freebie seekers who are only on your list for the free stuff. If they unsubscribe because of those rare promotional emails, they weren’t ever going to buy from you ever anyway. Note: I’m assuming you’re sending a reasonable amount of promotional emails, rather than being spammy or not adding value. You could even send a hybrid email: you add value and provide legit strategies, AND pitch at the end. Get profitable ASAP, so that you can serve even more people. Serve the people who are ready to be helped, my friend! Subscribers love it when you give them the V.I.P treatment. Give them special stuff that they cannot find elsewhere. Otherwise, you’ll be getting lots of unsubscribes giving reasons like “I am following your blog already” or “I am in your Facebook group already so I’ll just stay updated from there”. These were real reasons I got when I was still using Aweber and they had an option for unsubscribers to leave a reason! So go ahead and share those hidden cooking tips you have, or that crazy solution which made you more productive, or the behind the scenes of your most successful product launch. 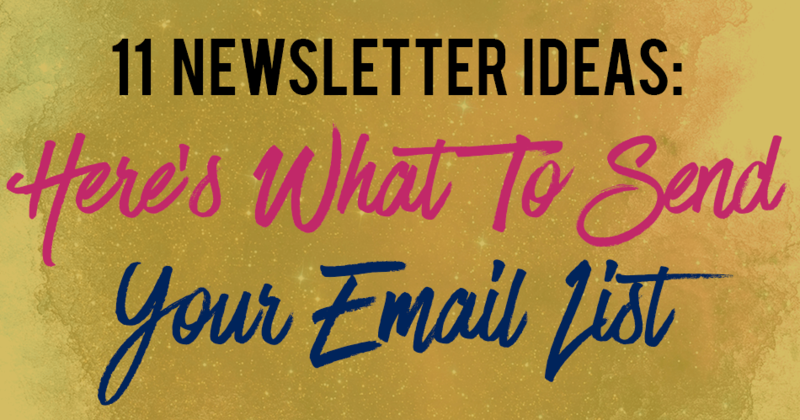 Lots of amazing newsletter content ideas to engage your subscribers in this article! Or looking for other list building posts on this blog? Can I just shoutout the fact that your summary for your piece is absolutely stellar? It makes it so easy to mentally categorise what I’ve just read! I always forget to share what I’ve just read, and I’m grateful you’ve reminded me that I should really be doing that, as well. Thank you for summarizing it all so neatly. I love the challenge option the best! You’re welcome! Thanks for stopping by, Vidya.